Advertisement plays a vital role while coming into terms with people. Whether it be a firm/organization or a product; one really has to make it familiarize with the masses so they pay heed towards it and by advertising about it people will have a fair idea that ‘what it is all about’, ‘what does it unfold’, how one can ‘locate their stance’ and ‘approach’ them etc. 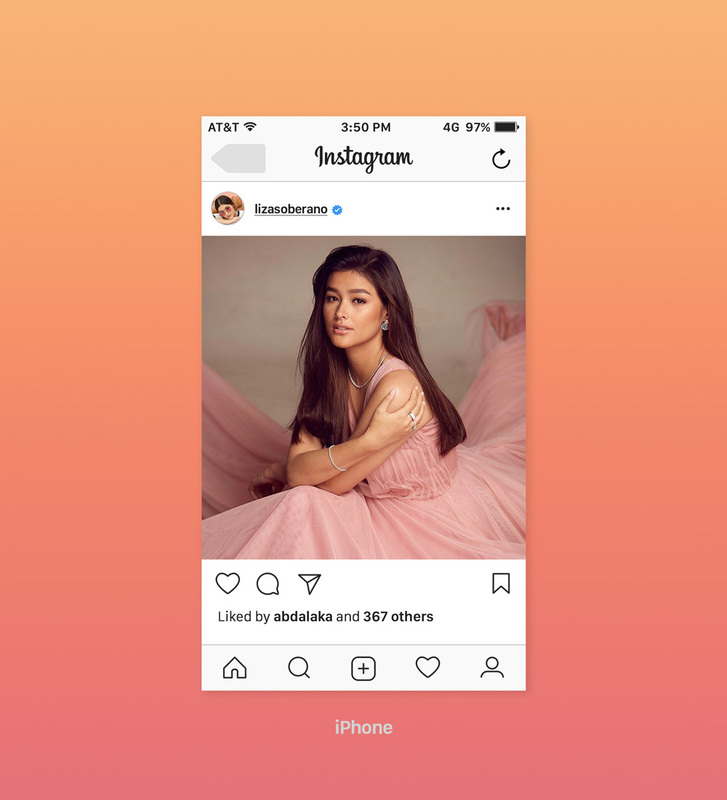 Social media is the most effective way to make a thing go viral. It increases viewership in seconds and multitudes of people watch it, bookmark it, and save it for the future use. 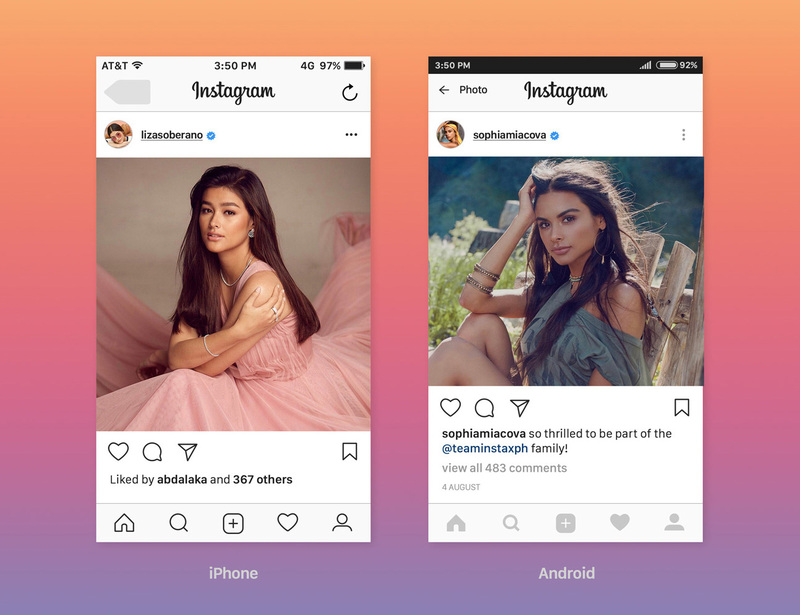 Instagram is the most popular app which is used by celebrities, heroes, political parties and by every layman equally, so naturally you may hit the target audiences straight away. Regardless of gender, people are so much prone to be its regular user. Every day all of us open up the social networking sites’ notifications like morning food or a morning newspaper, nobody likes to miss out on alerts for sure, correct me if I am wrong? Therefore it can serve a massive deal of audience with latest happenings and trends. Especially for online stores, social media networking sites are indispensable podiums to do advertisements. Also when clients ask about a certain product design/advertisement emblem, the designer loves to make a presentation mockup to display the designed artwork in front of the client. Presentation has to be really impressive in order to get the approval and consideration. 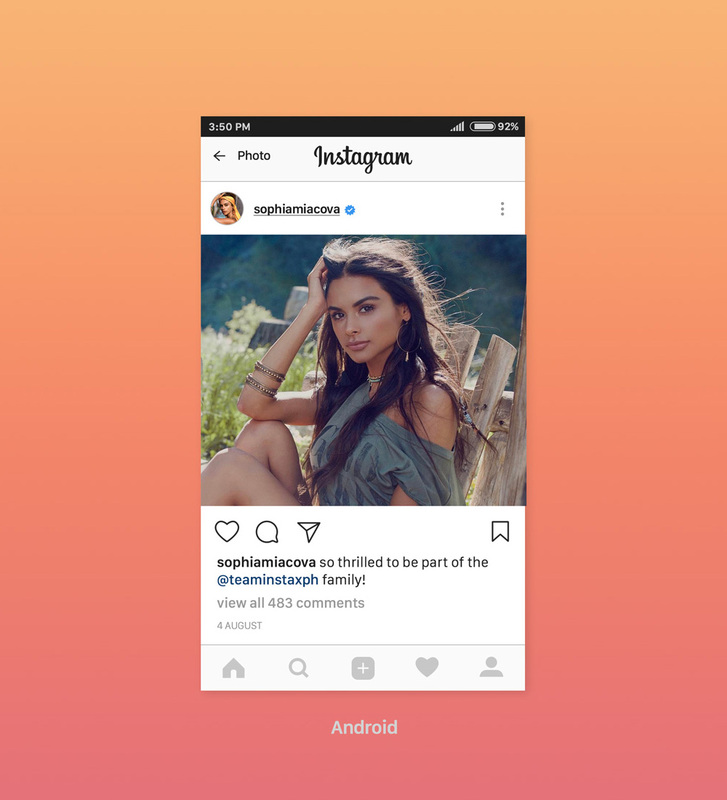 Lately I happened to design free Instagram iPhone and android UI mockup in which you can place your design elements/advertisements to put forward to your client that how his display image will appear on the screen of an android phone or on iPhone. For more amazing design and tech feed do check the blog again, we have plenty of useful posts for you all. Your feedback is always motivating, so let us know what you think about our art and graphic collection on daily basis. Here we go!